That’s ME! This is my blog. Just a place for me to get my thoughts down, instead of using paper and trying to figure out the technology first hand. I also hope to use this site as a second memory, in years from now this will hopefully help me remember. 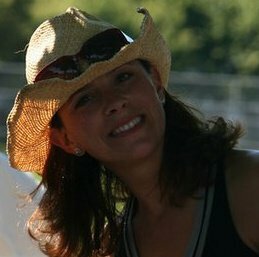 A little about me: I am a mom, wife, runner, outdoorsy, I am a marketing conslutant and owner of a small business, Attento Marketing. My main client is: Phillips Real Estate Services. I do the marketing, PR and social media out reach for the company, which means I write the blog for Phillips too. Also, a wordpress blog, but more about Real Estate, the rental market in Seattle, etc. This blog is about me, what I am up to, my thoughts, ideas, challenges and what not. I have a wonderful family that I am passionate about, 2 daughters and a husband I have been married to for 12 years. I have run 3 marathons – Portland on 10.10.10, the National Marathon in Washington DC and the Chicago 2012 marathon. I love to run really cause it makes me feel good and clears my head. This is enough for the About section on to the Blog, I am sure we will dig deep in the posts. The goal of the blog will be to give you a look into my thoughts, and daily life. Let’s see how it goes! Thanks for reading.